Forty-five members of the Senate's Democratic Caucus signed a letter to the Republican leadership outlining three objectives on tax reform: it should not increase taxes for the middle class or cut taxes for the top 1% of earners, it should follow "regular order" on the Senate floor, and it should not add to the budget deficit. 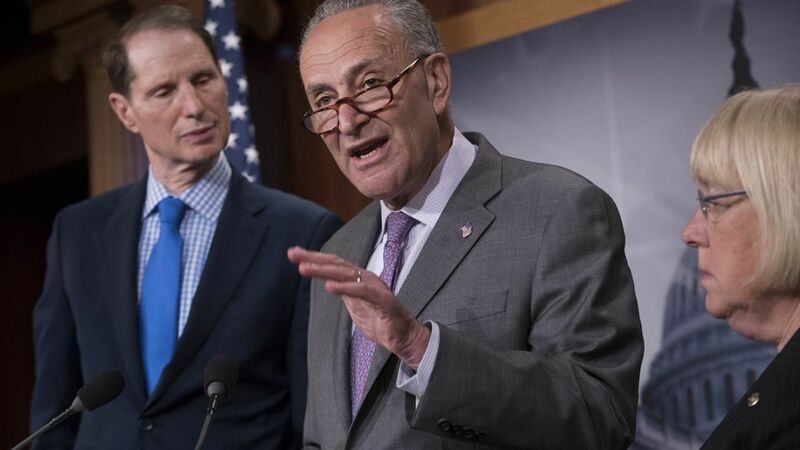 Tax reform will have a similar fate in the Senate if negotiated behind closed doors like health care, Minority Leader Chuck Schumer told reporters Tuesday. "There's real potential for bipartisan support on tax reform … We're not gonna get it all our way. There're going to be compromises," Schumer said. The stakes: After the dramatic failure of Affordable Care Act repeal, the pressure is on for Republicans to pass tax reform legislation ahead of the midterm elections.